Be Direct! Ask for What you Want and Need…. Do you have a challenge when it comes to asking for what you want? Do you feel like you have to do everything alone? Do you “hint” at your wants and needs hoping someone “picks up on them? More importantly do you refrain from bringing up what you want and need because you don’t want to “bother” or “burden” someone else? It takes a great deal of courage to be direct and ask for what we want and need. The Amanda Palmer quote really sums it up nicely. Many of us are challenged asking for help. We don’t want to be a “bother” but there is also another side of the equation to consider and, aside from needing to ask for help; Are we being clear and expressing to our loved ones and friends what we want and need from them day-to-day? We move through our lives thinking people are going to figure us out. We hint, we hope and we think we are being clear but, and this is a BIG but, we may not be communicating as clearly as we think we are. 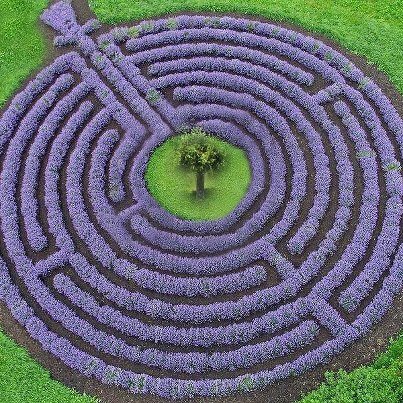 Sometimes we circle round and round like a labyrinth until we finally arrive at our destination. Well my friends, the distance between two points does not have to include walking a maze with only one way in and one way out. I admit I’m not always the best at voicing my wants and needs. What if I sound silly? What if someone doesn’t like what I’m saying? What if I’m perceived as not being a strong woman or the opposite, too pushy or bossy? No one wants to be perceived as “needy or weak, pushy or bossy” and sometimes it takes all I have to speak my truth and allow my vulnerable self to be seen. We cannot be afraid of how we “think” others will perceive what we are saying. We should not ‘decide’ what someone else thinks, or what they will or won’t do, or how they will or won’t react to what we’re saying because the reality is we will, more than likely, be wrong. To me asking for what I want and need, not in terms of needing help but sharing with others my vulnerabilities, is much like cracking open a closet filled to the brim. I’m afraid everything will come spilling out and I will be seen as incompetent, high maintenance or “less than” I am. The beauty of asking for what we want and need is that it is not only brave and vulnerable in that it tells someone about us it hopefully opens up a conversation so they can do the same with us. Asking for what we want and need is not about demands, expectations or ultimatums. What I’m referring to is taking the guesswork out of the equation. While we can hope our loved ones and friends are aware and paying attention, people cannot read minds nor do most pick up on our so-called “cues” and hints. This is also not to say others can fully hear us and/or are open and available to give us what we want or need; But the fact is, at least we’ve verbally, to the best of our ability, communicated our wants and needs. We can all use work on our communication and listening skills. We can all increase our awareness and pay more attention. If you are saying nothing then expecting something in your relationships you might want to have a look at the part YOU play in not having your wants and needs met. If you happen to be blaming someone for not meeting your wants and needs ask yourself if you clearly and verbally communicated what they are. It seems more commonplace to let people “guess” and “assume” what we want than to speak from our heart and share what’s in there. Maybe we’re just afraid we’ll be disappointed if we speak up. Maybe we have in some way devalued our wants and needs and made others the priority. Previous Post April is Stress Awareness Month: De-Stress with a Zen Den! Fiunny, David and I were just talking and he finished a sentence for me. That happens often enough that my expectation is that he not only finishes my sentences, he knows beforehand what those sentences are. When he’s not on the same page — not even in the same book — I’m angry at him. And when he really really really doesn’t get me, I’m really really really angry. Translate anger into hurt, which of course is what lies beneath anger. The angrier, the greater the hurt. Translate more and up pops vulnerability which, in an intimate relationshiop, is powerful enough to shut down the whole show. Another challenge that comes with being in love. Thanks for a dead on blog! Love Your Post / Blog. Love you. In NYC this wkend – was just thinking Friday how much fun it would be to be I. Chicago seeing you. Be well dear friend. how’s mom? And yes, I start at merrill Lynch May 4th. The process has been long and the security.= clearance has rattled all my skeletons and they were asking for my flesh… Again… FINALLY put them to rest. Phew! What’s new for you? What happened with your on and off again guy?